This three-bedroom Lower East Side penthouse has a private 1,282-square-foot terrace. Once upon a time, you knew you had finally made it in New York City when you could afford to buy a penthouse apartment. But is it still a good investment? Now that new and converted buildings can come with multiple penthouses instead of just one, are they still prestigious? In this week’s Buy Curious, Jessica Milton of Mirador Real Estate and Louis Adler of REAL New York tell you whether sky-high living is right for you. I’ve finally saved up enough money for a down payment on a penthouse apartment. What do I need to know before I buy? Why would you want to buy a penthouse? Penthouses often come with private outdoor spaces—sometimes the only outdoor spaces offered in the entire building. “The high-end condo market usually reserves the roof deck for the penthouse unit,” Adler says. Other pros include great views, the fact that they tend to be quieter (since they’re farther away from street noise), and that penthouses tend to be more unique than other units in a building. They typically have high ceilings, and can be multi-level, and have more luxurious finishes than neighboring apartments. Why wouldn’t you want to buy one? There are more cons than you might think when it comes to living in a penthouse unit. You’ll be more vulnerable to leaks in a top-floor apartment since it’s just under the roof. “More maintenance will be necessary,” Milton says. There’s also the fact that if there are any building systems located on the roof of the building, this could mean having to give workers access to your suddenly not-so-private private outdoor space. Adler adds that the elevator ride to and from a penthouse apartment takes the longest—which could be annoying when you’re rushing to work in the morning. And what happens if the elevator is out? Will you be able to walk up all those stairs? There are also safety issues involved. Should there be a medical emergency or a fire, it’ll take police/firefighters/EMTs longer to get to you on the top floor. Finally, that penthouse doesn’t always come with an elevator attached. In some smaller walk-up condos, the penthouse can mean a lot of stairs to get to your apartment. What types of buildings have penthouses? It used to be only high-end luxury condo and rental properties that included PH units. But now you can find them in smaller new developments and converted properties, as well. 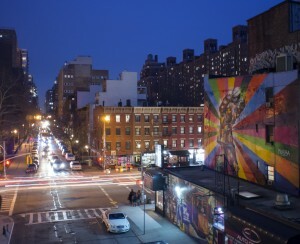 Are there any neighborhoods in NYC where you’re more likely to find them? Not really, say our experts. “From co-ops in Inwood to new developments in Prospect Lefferts Gardens, most buildings will have a penthouse,” Milton says. (Check out our penthouse listings below in Tribeca, the Lower East Side, East Harlem, Inwood and Williamsburg). 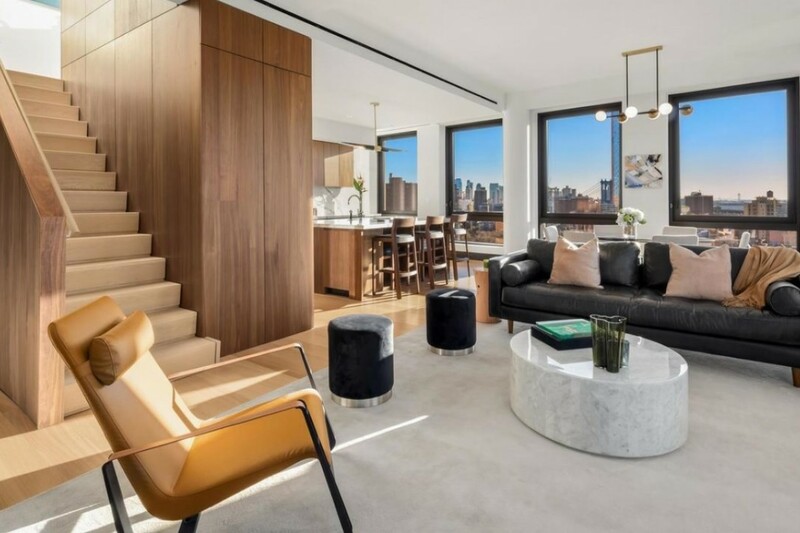 And while that may be true, Adler adds that Manhattan penthouses still tend to be more alluring than those in other boroughs. How much more expensive are they typically? 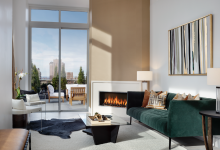 It varies from building to building, obviously, but penthouse apartments usually cost an average of 5 to 10 percent more than other units in the same building, says Jonathan Miller, president of the appraisal firm Miller Samuel. Adler adds that in new development condos, the penthouse can be as much as 50 percent more than units below them. “It really depends on what makes the apartment stand out from other units in the building,” he says. That all depends on the buyer. Buildings used to have only one penthouse on the top floor, but these days, more new construction buildings have multiple penthouses, so they're not as unique as they once were, but they still are a draw. And if there is roof maintenance, there's another owner to share the burden of calling contractors and letting the workers in to fix things. 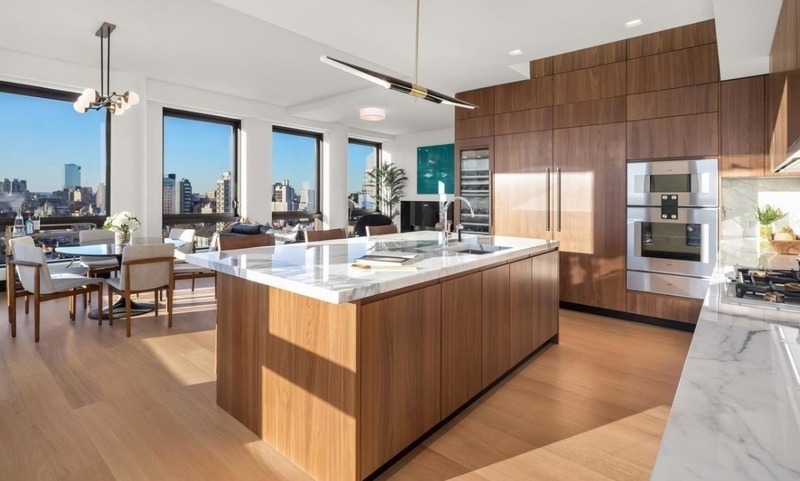 Listed for $7,350,000, this 2,478-square-foot, three-bedroom, three-and-a-half-bath apartment (also pictured top) has 10-foot ceilings, wide-plank white oak floors, an open-concept living room and kitchen, a custom gas fireplace, a corner dining area, stainless steel appliances (including a five-burner cooktop, two dishwashers, and a full-height wine fridge), a washer and dryer, and a private, 1,282-square-foot terrace with views of the East River. 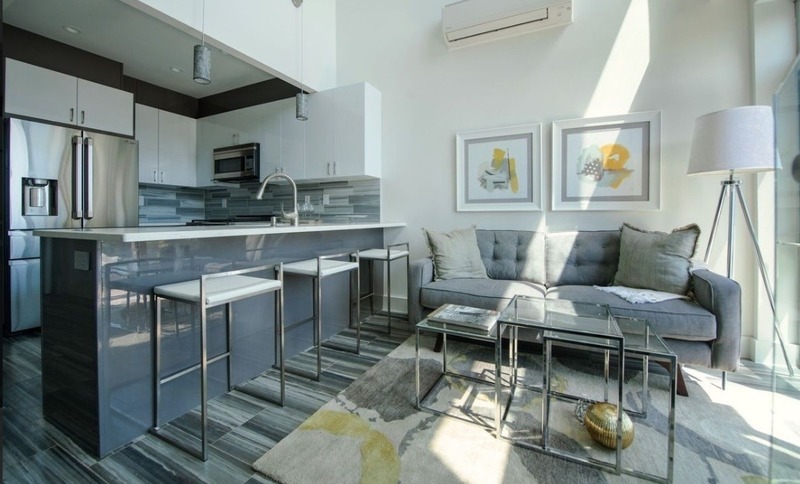 It’s in a condo building with a 24-hour doorman/concierge and building manager, a fitness center with changing areas, an entertainment lounge with a kitchen, and a rooftop terrace with outdoor dining. Common charges are $5,608 a month. Taxes are $1,664 a month. This $3,695,000 two-bedroom, two-bath penthouse loft has city views from every room, large windows, wide-plank white oak floors, in-unit laundry, a double-height atrium, a gas fireplace, built-in shelving in the living/dining room, a chef’s kitchen with wine storage, and a glass-floored room that can open to a private roof garden. It’s in the Collect Pond House, a co-op building with a marble lobby, a full-time super, and basement storage. Maintenance is $3,466 a month. 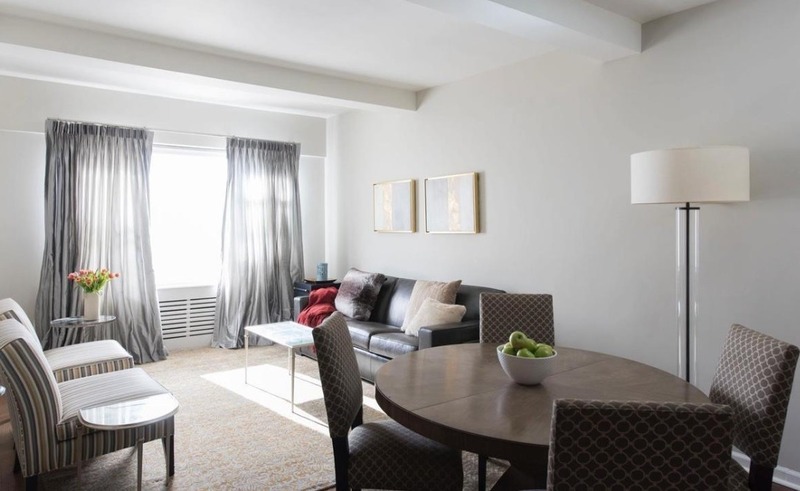 Listed for $1,399,000, this 1,100-square-foot, three-bedroom, two-bath penthouse duplex has an open-concept living room, dining room, and kitchen, porcelain tile flooring, in-unit laundry, exposed stone walls, a floating staircase, sound-proof casement windows, customized LED lighting, a trio of balconies, and a large rooftop terrace with a glass railing and panoramic city views. It’s located in a boutique condo building with private storage units and a video intercom system. Common charges are $527 a month. And taxes are $749 a month. Priced at $1,085,000, this 1,450-square-foot, three-bedroom, two-and-a-half-bath duplex penthouse apartment was recently renovated, and has a sunny kitchen with stainless steel appliances, a dressing area outside the main bathroom, a sunken living room, a dining foyer, and a private terrace surrounded by a newly constructed brick parapet, which overlooks a manicured courtyard below. It’s located in Park Terrace Gardens, a co-op complex with concierge services, private gardens, on-site management, a bike room (with a wait list), free high-speed Internet access, and new laundry rooms. Maintenance is $2,321 a month. 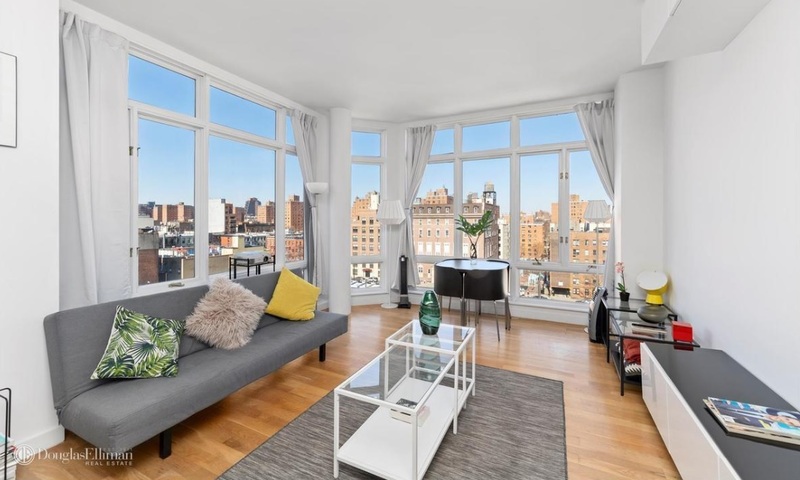 This 725-square-foot one-bedroom, one-bath penthouse apartment has unobstructed city views, floor-to-ceiling windows, an open kitchen with quartz countertops and stainless steel appliances, in-unit laundry, and lots of closets. It’s listed for $735,000, and is in the Conrad Condominium, which has a gym, a landscaped garden with a basketball court, a hot tub, a spa area, and a barbecue deck. Common charges are $525 a month. Taxes are $297 a month.